CIMA was founded in 1976 by Leandro Magi one of the first three people in Italy who started welding the new polypropylene polymer in the early 1970s with the aim of building plants in antacid material in order to meet the requirements of goldsmithing, silversmithing and the galvanic industry. 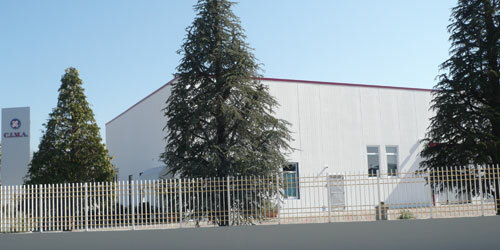 After the first decade in Arezzo, the company moved in 1986 to its new and current headquarters in an industrial area covering over 2,500 m2 with offices and manufacturing plants. Here we process plastic (Pps- Special Self-extinguishing polypropylene, PP, PE and PVDF) and steel, in compliance with the current safety regulations. 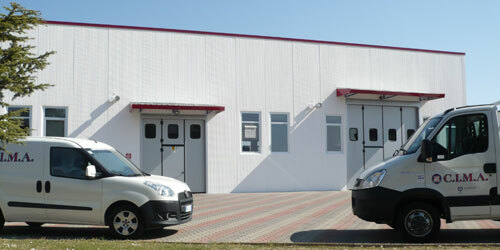 In 1993 Luca Magi, son of the founder, joined the company with the view of expanding the application of this method to new areas. For over 40 years, CIMA has been manufacturing products in plastic resistant to the corrosion of chemical compounds, specialising in customised plants and technological design. The close cooperation with the end user has always been our key strategy in order to offer products and services valued by leading companies operating in various fields. CIMA designs and manufactures exhaust, ventilation, waste gas abatement, dust filtration, deodorization, stripping and insulation systems; we also build a wide range of products ranging from goldsmithing treatment and processing plants, to tanks and storage tanks for the containment of chemical substances. Over the years, CIMA has expanded its business through its experience since the production of its chemical plants meet the requirements of multiple industries: pharmaceutical, chemical, petrochemical, plating, steel, food processing, textiles, jewellery, foundries, waste and water treatment. Many years of experience and reliability, combined with the high professional level of its employees, has made CIMA one of the top firms in the sector working for major domestic and foreign companies. Questo sito utilizza cookie, anche di terze parti, per migliorare la tua esperienza di navigazione e offrire servizi in linea con le tue preferenze. Se prosegui nella navigazione di questo sito, e accetti, acconsenti all’utilizzo dei cookie.